'Dominion of the Night' is about a count's young son, who is torn from life prematurely. He returns from the dead as an angelic vampire to take revenge on his murderers, to protect his future wife and to lay claim to his dominion. As he plots his vendetta he has to find that the conspiracy about his own assassination is far more intricate than he would have assumed. However, he meets again with former friends and associates, who help him deal with whatever challenge he is about to face. 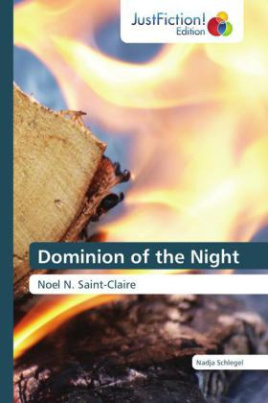 Thus Noel Nicodème Saint-Claire, the main character, discovers a new - and old - love as he rallies equal-minded brothers-in-arms. His new companions assist him in going through several adventures and show him that life is truly worth living for even when he and his friends face possible defeat; eventually Noel manages to stand out gloriously victorious. This story is about love, riches, power, fate and how to master life - with a tantalizing glimpse of arcane wisdom.